We are so excited to share this interview with you! 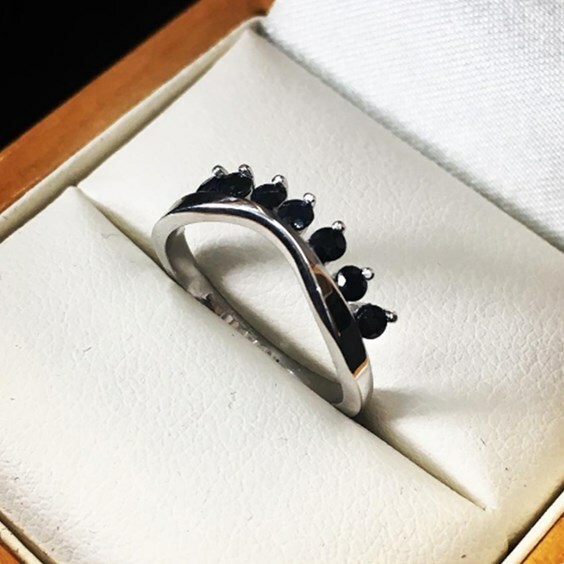 The whole team at Kernowcraft are huge fans of Andrew Berry, his award winning work and how he inspires jewellery makers around the world every single day. 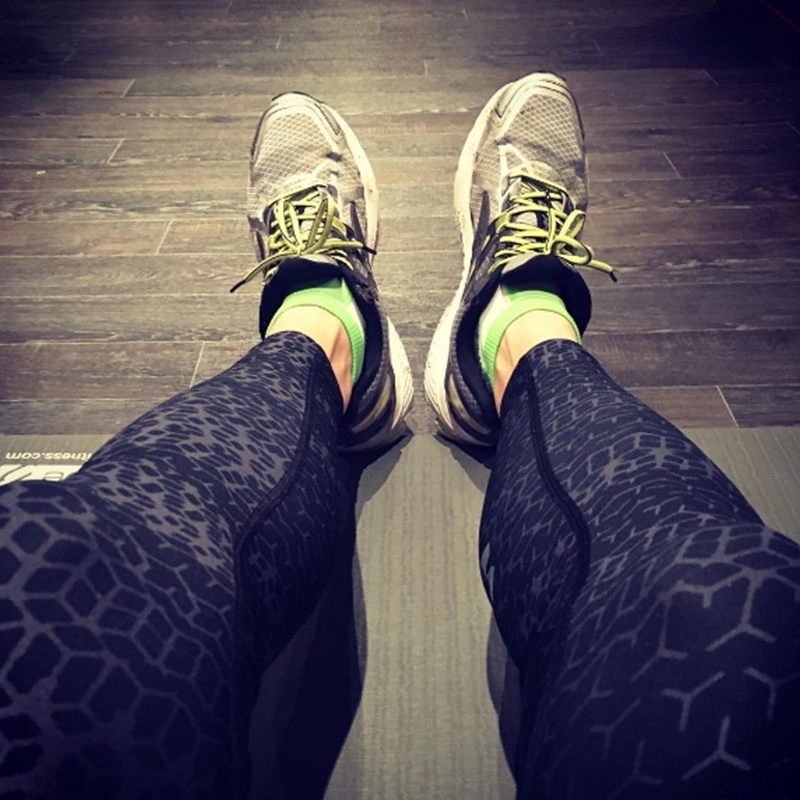 You've probably heard of Andrew, the founder of At The Bench offering training and tutorials. Andrew also creates free and interesting YouTube videos, where he has over 20,000 subscribers and continues to create waves within the creative community online! He's certainly a busy bee, and we're not quite sure how he manages to fit everything in but we definitely don't want him to stop. In this interview, we chat to Andrew Berry about how his jewellery making journey started, how a beginner jeweller can improve their skills and what he gets up to in his spare time! Having always been a creative person I found myself spending as much time as possible in the workshops whilst I was in school. I had a brilliant and inspirational DT teacher who I still see from time to time. I suppose I drifted into University as I couldn’t seem to get a job after leaving school (I wanted to be a draughtsman). 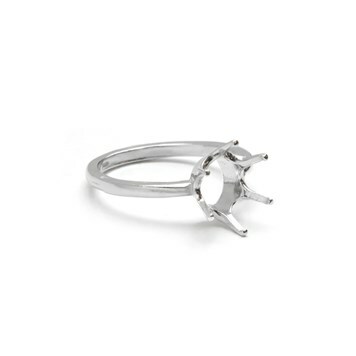 I studied Three Dimensional Design and ended up specialising in metal and primarily jewellery. At The Bench is the place to learn how to make jewellery, online. We have over 1280 films available to view (with more going live each and every week) on jewellery making techniques, projects, business ideas, drawing skills, webcasts etc. We encourage our members to contact us for help and suggestions of future film ideas. We will often produce a film that goes live on At The Bench if we are not able to reply to a member in the space of a few lines of an email. This type of approach is unique in the industry as we can communicate our experiences direct to that At The Bench member as well our thousands of members who may be having the same problem. What made you want to share your skills and knowledge with others? Everyone gains experiences throughout their whole life. If they don’t share and pass on their knowledge to another person, it goes no further. The jewellery industry is constantly changing, we hope for the better but too often modern technology sells university and college places and the basic principles are often overlooked and forgotten. 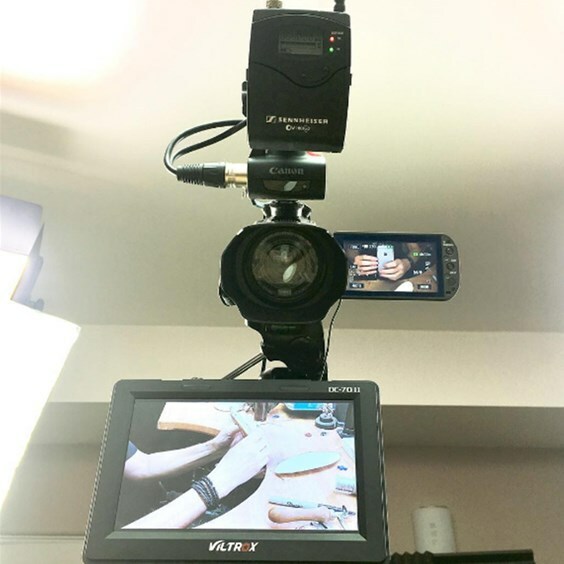 You share videos and tutorials on social media, which platform do you enjoy the most and why? I love the spontaneity of Instagram where a photo or two is all you need. Instagram stories is a cool feature but they are only available for 24 hours. Facebook is a massive platform that no one should miss out. I have tried others like Twitter and Periscope but always end up coming back to Instagram and Facebook. What advice would you give for a high quality finish? Once you have filed the surface, get some emery sticks (buff sticks) and work at 90 degrees to the file marks. Then go onto a finer grade emery stick and again work at 90 degrees to the previous direction. After each stage you should only see the marks you are putting on and not the previous marks at 90 degrees. The same principle follows when you go onto polishing. Using a pre polish like Tripoli, going at 90 degrees and then with the final polish like rough, 90 degrees to the direction on the Tripoli. Still working and instructing people. I have no plans to retire. Where do you get your inspiration and ideas for your videos? The inspiration really comes from what I am doing on my bench. It may be using a particular technique or tool that I feel others would be interested to see and try out. I also get inspiration from you guys, people who follow me on social media and I am always asking for video ideas because if you want to see a certain tool or technique then I am sure there are others who are thinking the same thing. I also buy every single jewellery making book out there, even if it is a simple soldering book. I like to look at others peoples way of working and it usually frustrates the hell out of me when I see bad techniques being repeated in several books. What is the one thing everyone asks you for advice on? Soldering. Its the technique that the majority of people find difficult to master. 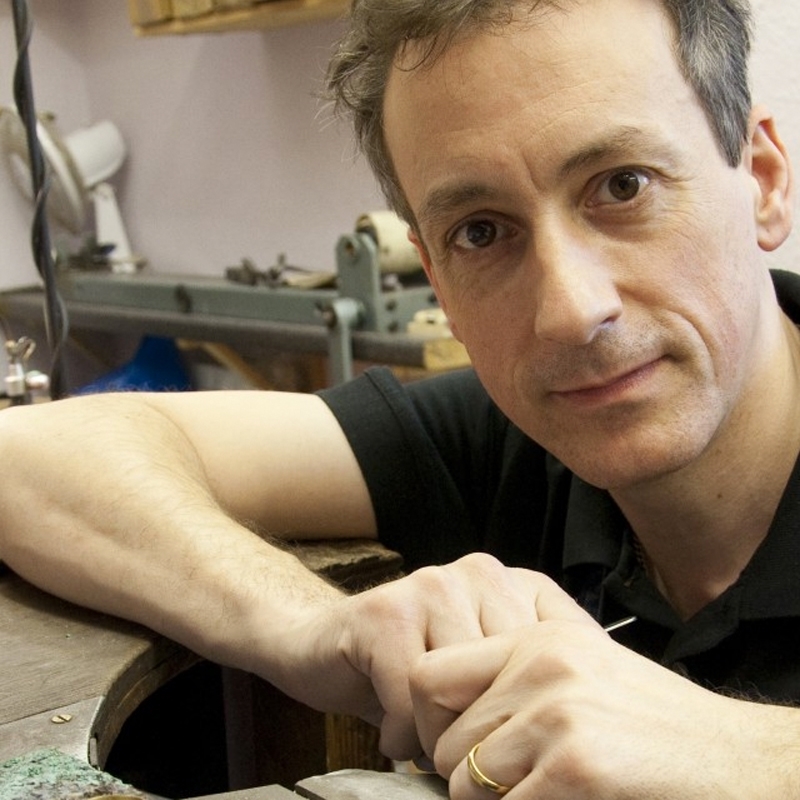 When you’re not busy in the jewellery world, what else do you enjoy doing in your spare time? Depends on the amount of free time I have. If I have a few hours then I love to ride my road bike with the local cycling club. An hour or so? Then I hit the gym or go for a run, trying to run a sub 50 minute 10k race next year. I am working on some training videos for Lampert, a German manufacturer of the PUK pulse welding machine. I am also putting together projects and ideas for my first book. What advice would you give to someone wishing to start making jewellery but doesn’t know where to start? Join At The Bench. Find a reputable YouTuber that has plenty of subscribers and one that you can relate to. Buy books. I still buy even the basic jewellery making books as they are published because you just don’t know if someone uses a technique or a certain method that you’ve never seen before. How do you stay organised with such a busy schedule? A calendar and with the help of my team. What’s your favourite material to work with? Any precious metal - Silver, gold or platinum. The ability to turn a piece of metal into an item of beauty and one that will become tomorrow heirloom still amazes me. You can often be found exhibiting and showing demonstration at trade shows, what’s your favourite thing about doing this? Meeting like minded people. At The Bench members coming up to me simply for a chat or to show me their latest piece that have made or even to ask me about a new piece of equipment they are wanting to buy. You bought a kiln from Kernowcraft, what do you find it most useful for? I use it for burning out the wax from the flasks when I am lost wax casting. The programmable time is indispensable for that. I know its is not specifically made for that but I do look after it well. What are your top time saving tips within the workshop? Put everything back after you have finished using it. Keep all the tools and equipment that you use the most within arms reach, then the tools that you need occasionally, a little bit further away. The tools you use the least can be put further away. Think of yourself as a pilot, being able to fly the plane without moving from your seat. Is there any technique or skill you would like to improve upon? 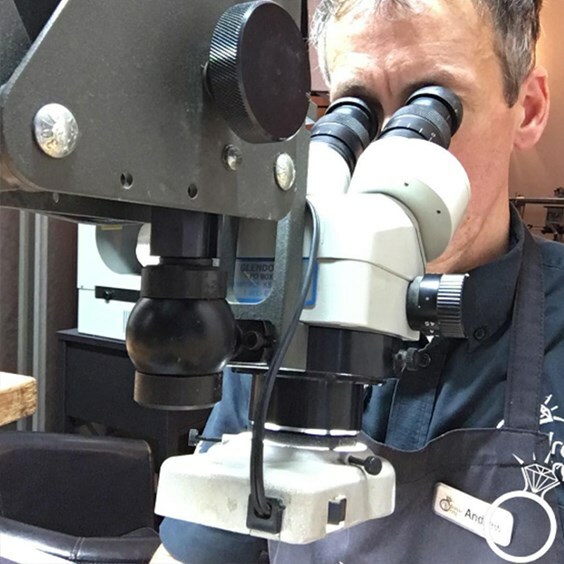 Having recently bought the equipment to engrave, the GRS Gravermach AT, I would love to find the time to travel to the USA to take lessons with my good friend Sam Alfano, a world renowned hand engraver. The other technique that I would love to perfect is Micro Setting, the engraving equipment can also be used for that too. 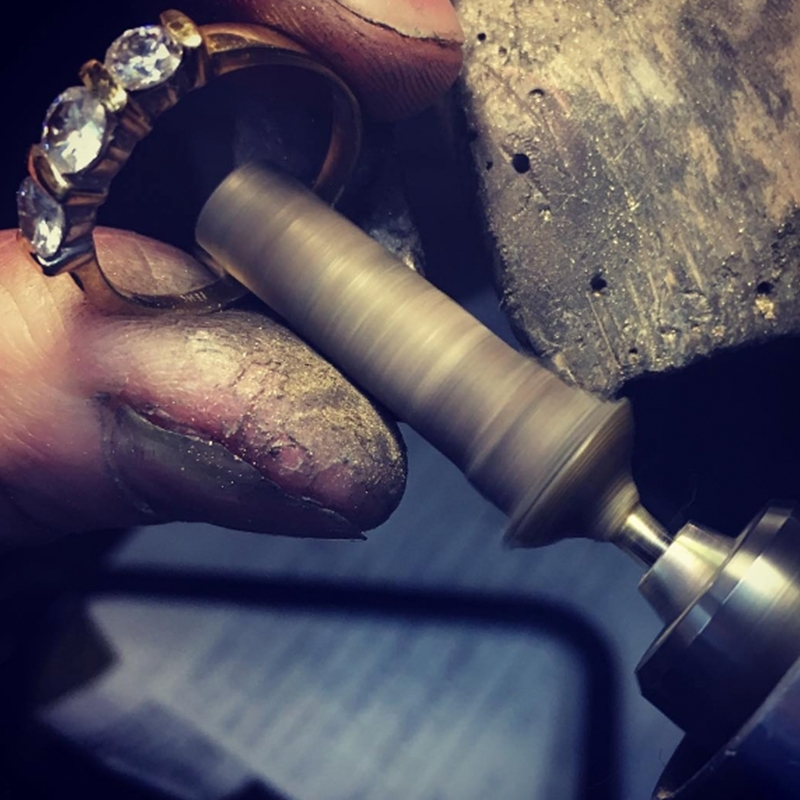 Over the years we have made jewellery ranges that we have sold via reps and agents, but nowadays we usually only make to commission via our shop and workshop. Finding a company that sells individual silver ring mounts is quite rare these days. 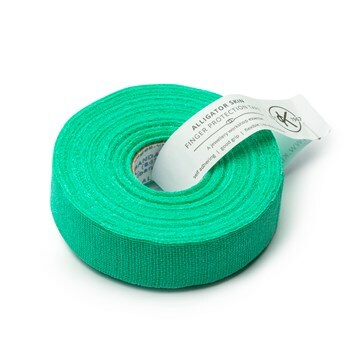 The green alligator tape is always by my side. After doing what I do for the past 30 years the skin on my fingers has really hardened up and I find I usually need it on the run up to Christmas as we are working 12 hour days every day. If you are only just beginning jewellery making or you need to keep you fingers cut free then I would recommend using the tape on your thumbs and index fingers, usually on your non dominant hand. 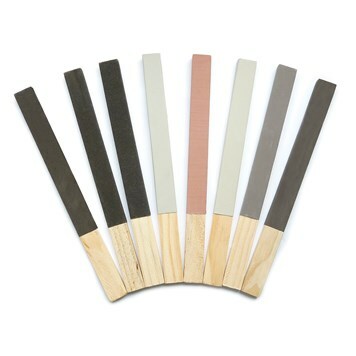 The polishing sticks are an essential part of your tool kit from a beginner right up to a master jeweller. They are cheap and you need plenty on your bench. They are one of the simplest items of jewellery making equipment you can have.